The Conservatives have lost control of Southampton City Council. The change came as the full council met on Wednesday to agree the 2008/9 budget and fix the new council tax rate. Liberal Democrat and Labour members joined forces to oust the Conservatives and agreed a new budget with a council tax increase of 3.49%. The council is to be led by Labour Leader Councillor June Bridle, with support from the Labour and Liberal Democrat members. Coun Bridle said: "We are open to working in a new way to drive the city forward and want to work with all of those who believe in cooperation to bring stability to the city." Southampton City Council has 48 councillors representing 16 wards. The make-up is 11 Liberal Democrats, 16 Conservatives, 16 Labour and one independent. 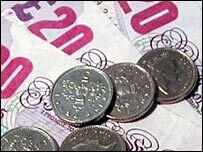 In 2008/09 council spending is budgeted at £173.2m on services, compared to £164.7m in the current financial year. For Southampton residents living in an average Band D property, the 3.49% council tax increase means an additional charge of £39.66 a year, or 76p per week.